One February evening in 2014, I had to give a lecture on how urban sociology deals with the notion of post-socialism. It turned out to be a very hard task: just as I was setting up my argument, I was observing how the notion of post-socialism was crumbling. That week, I had to make sense of reports that Russian military forces were occupying settlements and infrastructures in Crimea, while Vladimir Putin was confidently saying that Siberia has vast spaces to inhabit (which might be of interest to people from the former western Soviet republics). In terms of the common ground in and about the region, these news have put into question how we derive meaning from last 25 years of the region’s transformation. 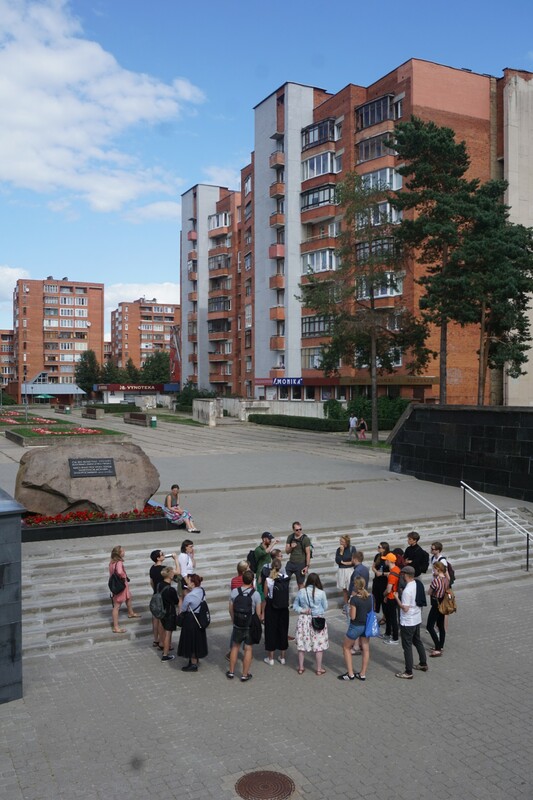 That lecture was one of the events within the first DAAD-supported winter school on post-socialist urbanism that the Laboratory of Critical Urbanism has organized at the European Humanities University in Vilnius. The School was about the long-lasting effects of totally top-down planned spaces and infrastructures on societies after the Soviet Union. The shift to militarization in the region in 2014 has made this angle even more relevant. Since then, the infrastructural dimension has become increasingly relevant as a key to understand the different courses and outcomes of the Soviet Union’s disintegration. And this is why the former Soviet Lithuanian “nuclear” town of Visaginas has generated so many creative takes and attention since 2017. Last summer, the summer school took place in Visaginas for the fourth time. And there were many more players in town working with similar questions about Soviet architecture and industrial infrastructure after 25 years of Lithuania’s independence. In the spring of 2017, the documentary theater play “Žalia pievelė” (“A Green Meadow”) premiered at the Lithuanian National Drama Theatre. The following summer, a documentary film, “Butterfly City,” was released. Later in 2017 and 2018, two photography exhibitions – “Babochka” (“Butterfly”) and “Nuclear Identity” have opened and were widely discussed. It was rather unexpected for Lithuania’s public sphere, where Visaginas used to be considered merely a dull theme: its meaning was reduced to the closure of the nuclear power plant due to Lithuania’s integration into the EU. Although all these creative takes share certain themes (for instance, from the air, the city’s shape resembles half of a butterfly) and characters, they all suggest that there is something yet to be discovered about Visaginas in order to get a more distinct and wider picture of the entire country in the late Soviet and post-Soviet period. Visaginas was built within only 15 years from 1975 in order to serve the Soviet Ignalina Nuclear Power Plant, which was part of the North-West United Power System and provided energy to all the Baltic Republics, Republic of Belarus and Kaliningrad region. In the late 1980-s, after the Chernobyl disaster, both Visaginas and its power plant became the primary target of Lithuania’s pro-independence movement in the process of re-establishing state sovereignty. It was the protest against technologically and politically opaque, unaccountable, and harmful nuclear technology that created momentum for an alliance between the local communist administration and wider civil society, as well as for their collective sovereignty claims, that turned out to be successful. Since the early nineties, after the Lithuanian state was successfully re-established, the town has become a marginal theme of a hindered utopian project. As the power plant was decommissioned in 2009 due to EU requirements, Visaginas moved further and further away from the spotlight. It was only after 2014 that Visaginas started to gain public attention again. 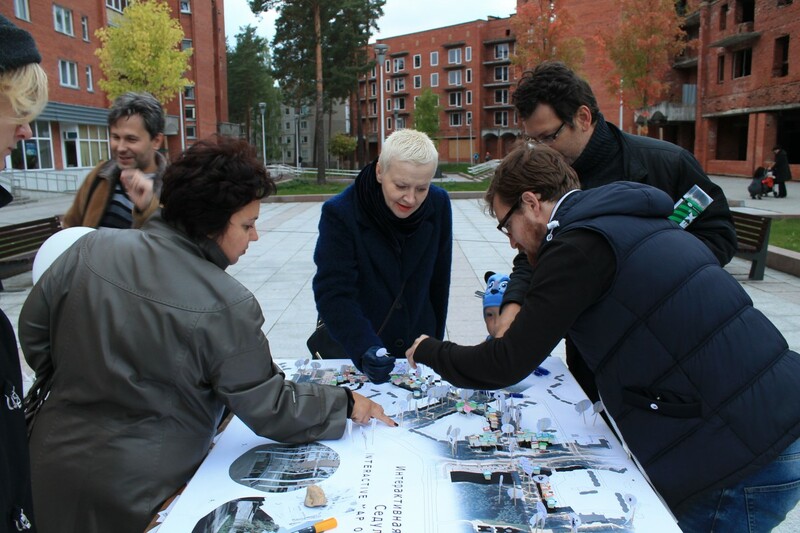 And it is in this context of growing attention to the town that the EHU Laboratory of Critical Urbanism organized four interdisciplinary applied summer schools there, as well as two smaller participatory conferences. ‘Nuclear’ doesn’t simply disappear from a town’s life, like ‘textile’, ‘coal’ or ‘ore’ do. Its traces can still be found in hardware, financing, and career paths. 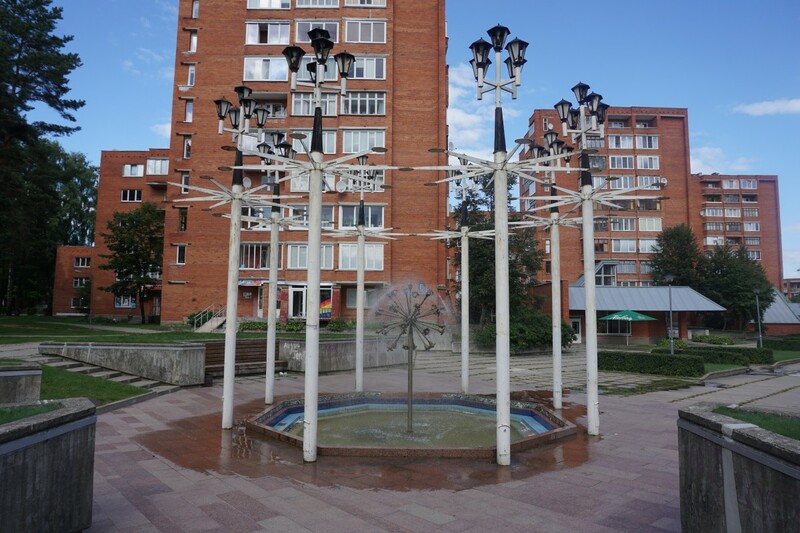 We started with the assumption that Visaginas is a typical Soviet-planned, industrial, mono-functional town, which has to cope with the fact that it lost its primary purpose. Our first events and pilot research were put in the context of de-industrialization and urban shrinkage studies. We also were aware of the cultural and political meaning of Visaginas as a town with the biggest percentage of inhabitants born in other parts of the USSR. 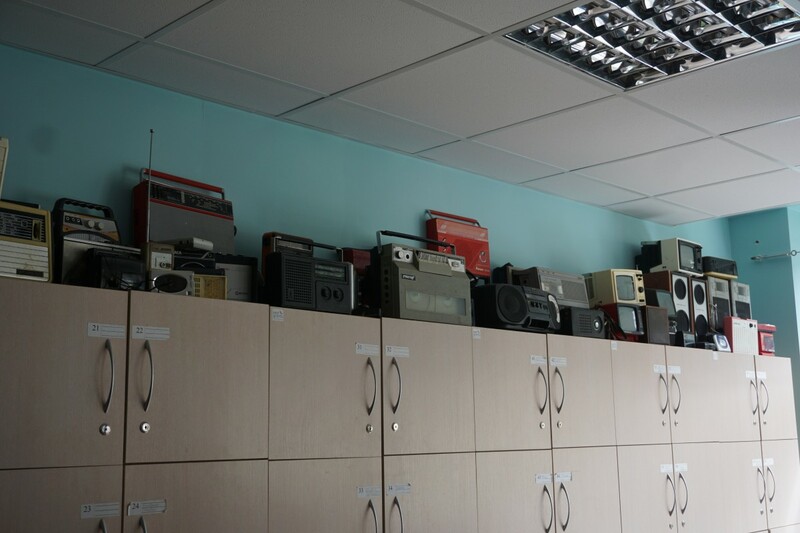 One of the dominant themes in discussions with the residents, both in research and public discussions, was their nostalgia about the Soviet past. Finally, we assumed that there was no consensus in town about how its history should be represented and discussed. There is no town museum yet, and it is not clear how to include the story of the Soviet nuclear power plant into Lithuania’s national narrative. Since 2015, we have reconsidered all these initial assumptions and observations. We observed that decommissioning and dismantling a nuclear power plant is not really a case of de-industrialization: this process is planned for decades ahead andimplies thousands of well-paid jobs, while professional nuclear waste management should be envisioned on the timeline of thousands of years. ‘Nuclear’ doesn’t simply disappear from a town’s life, like ‘textile’, ‘coal’ or ‘ore’ do. Its traces can still be found everywhere — in hardware, financing, and in the professional career paths of the town’s residents. We also observed that the town’s population not only shares the Russian language as its lingua franca, but also a unique ethos of the strategic importance of technology they serve, which gives rise to a specific conception of citizen-state relations. This is also defined by the fact that many of Visaginas’ residents have worked in a network of other ‘nuclear’ locations of the USSR, created and managed by the Soviet ‘nuclear’ Ministry of Machine Building. This is true not only of direct power plant employees, but also their family members employed in other spheres. Such networked (and also highly centralized and well-filtered) urbanization is characterized by a combination of strategic technology, strict technocratic governance and exclusive welfare, particularly in comparison to other industry-led urbanization cases. Finally, we have realized that, given the unprecedentedly high density of cultural institutions and educational projects in a 20,000-inhabitants town, having a museum concept and memorialization program is too narrow of a task. On the contrary, the exclusive welfare infrastructures and human capital that Visaginas inherited from the Soviet period — and that were creatively reworked and strengthened in the EU context — require intervention and re-programming on the scale of the entire town. Since 2016, we have worked on the concept of the Visaginas Public Library as institution and infrastructure, which would take over the former role of the local power plant as a central node for the local residents’ knowledge about themselves, the polity they belong to, as well as the global biosphere, vulnerable to the technology that gave rise to the town. Another Summer School is planned for August 2019. Siarhei Liubimau is a co-founder of the Laboratory of Critical Urbanism in Vilnius, Lithuania, which serves as a platform for scholars and practitioners in the region working in the field of urban studies. He is co-editor of the book Mapping Visaginas: Sources of Urbanity in a Former Mono-Functional Town.